Hoping to start the year off right and get the jump on 2010’s hottest technology trends? Then look no further: This year’s Consumer Electronics Show (CES) – the annual high-tech tradeshow that’s chock full of gadgets and technological innovations – will showcase a rather impressive number of tends we can expect to see more of in coming months from personal to automotive to hosted services. It will highlight what will likely be the fight that will define at least the first half of the year between the rumored iSlate from Apple and the massive number of Google Android devices that will populate the show. And, as an added bonus, this year’s CES will also preview the beginning of the biggest change to TV since color graphics – specifically, the introduction of 3D viewing. Let’s chat about some of the major trends we are likely to see coming out of CES and what they may mean for you in the next 12-24 months. There are a lot of eBook readers launching at CES. Most are using a variant of e-Paper and are wirelessly connected. The more affordable models will have only Wi-Fi, while the more expensive products will add Kindle-like 3G connections. Expect faster page refreshes and the first color products to be showcased at the event as well, though the color products are likely to be more proof of concept than market-ready. Prices aren’t moving much either, with smaller eReaders that aren’t 3G connected starting at around $200 and larger products that are 3G connected still in the sub-$500 range. I expect these prices to drop across the board by year-end 2010. One of the big battles in 2010 will be between the rumored iSlate from Apple (although it’s still not clear if this is a real name or just one of the typical red herrings Apple leaks to keep us off the scent) and the massive number of Android-based Tablets launched at CES. What is interesting is that it looks like most of the Android products have sub-7” displays while the rumored Apple tablet has a 10” display, putting it clearly in the netbook-size category and running it up against eBook readers as a potential alternative. These appear to mostly fall into the sub-$500 class though the Apple tablet is rumored to be much more expensive, which also could be a problem or more false information. It will be interesting to watch people make the tradeoffs between tablets (which can handle multimedia more successfully and provide a better Web experience than eBook readers) and eReaders (which will have better battery life and be vastly easier to read, particularly in daylight) conditions. 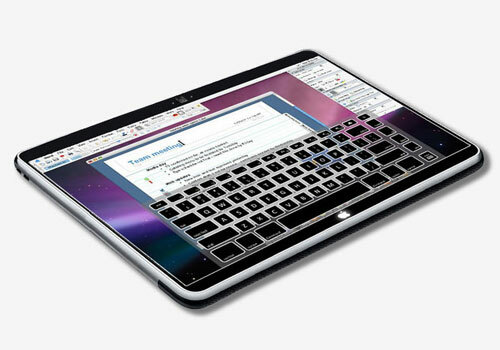 There will be a number of tablets with keyboards as well. We used to call these keyboard-equipped options Smartbooks, but the company that thinks it owns the name in Germany keeps threatening to whack our wiener schnitzels if we didn’t stop. Since that sounds rather painful, we’ll try to keep from doing that more than 10 or 20 times in a given piece. (Interestingly, Smartbook AG – the folks trying to protect the name – did bring out a $3,000 netbook, and doesn’t actually build Smartbooks.) Anyhow, we expect this pricey netbook will sell like used Pampers, as with it you pretty much get a bottle of expensive champagne and the right to buy your girlfriend an “I’m with Stupid” T-Shirt. 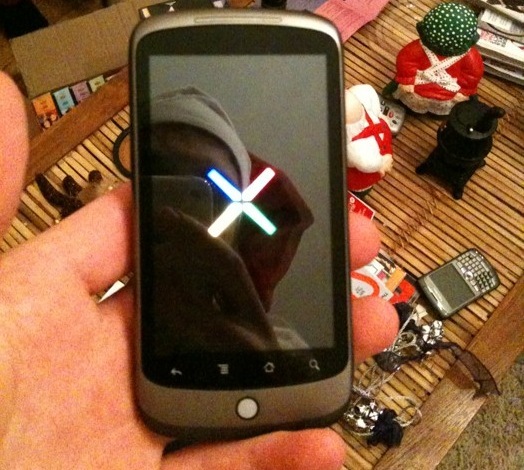 Google’s smartphone, the Nexus One, could be the product of CES much like the iPhone owned the show two years ago and the Palm Pre owned the show last year. (Yes, ironically, the iPhone wasn’t actually at CES, but it took it nevertheless.) Underground reviews have indicated that it outperforms both the iPhone and the Motorola Droid, which has been the hot ticket in the fourth quarter and used heavily in the battle between AT&T and Verizon. This phone will open the door for OLED Smartphones with increasing focus on graphics potential for the next generation of devices. I have a feeling that anyone who just bought a smartphone recently is going to wish that they’d waited. Speaking of all of these new amazing devices, it should be noted that they are powered by ARM and not x86 like the PCs that proceeded them. Companies like Qualcomm, Marvell, and NVIDIA are driving what appears to be a revolution of cool stuff from eBook readers to these new tablets and smartphones, and all use different variations of the ARM processor. Intel will be striking back with its Atom platform, but this is going to be a fight and ARM initially appears to have the high ground.